McALLEN — La Joya Juarez-Lincoln coach Victor Ramos always knew Manuel Castrejon was an exceptionally talented player. His penchant for generating scoring from the central midfield position was evident from the start of his freshman year, when he was a varsity sub. What held Castrejon back, Ramos said, was his tendency to grow frustrated at the first bad pass or missed shot. Ramos saw that immaturity impact the rest of the team, keeping Juarez-Lincoln from reaching its full potential. He wasn’t sure if Castrejon would ever shake the bad habits. Castrejon and the Huskies took tremendous steps forward this season. As a junior, Castrejon scored more than 20 goals and served as the primary distributor for Juarez-Lincoln, which advanced to the UIL Class 6A state semifinals before losing to Dallas Jesuit to finish with a 30-4-1 overall record. For his efforts, Castrejon is The Monitor’s All-Area Player of the Year for 2017. He said his job is simple: distribute the ball to the team’s forwards so they can do the scoring. He’s held a similar role for most of his soccer career. Castrejon earned that trust this season by changing his attitude. He said he recognizes situations that would typically set him off, like falling behind in a game, and leans on his teammates to help him calm down. Playing with different groups of players during his career, Castrejon has gleaned various techniques and developed the mental side of his game, even if he hasn’t grown a lot physically from being a 5-foot-1 freshman to a 5-foot-5 junior. He brings plenty to the pitch physically, too. Ramos said Castrejon’s technique is “beautiful,” with unassailable dribbling ability. As a more mature leader, Castrejon was constantly directing his teammates on where to line up and how to move as plays developed. Despite the stellar season that culminated in a trip to state, the Huskies ended the year on a particularly frustrating and sour note. 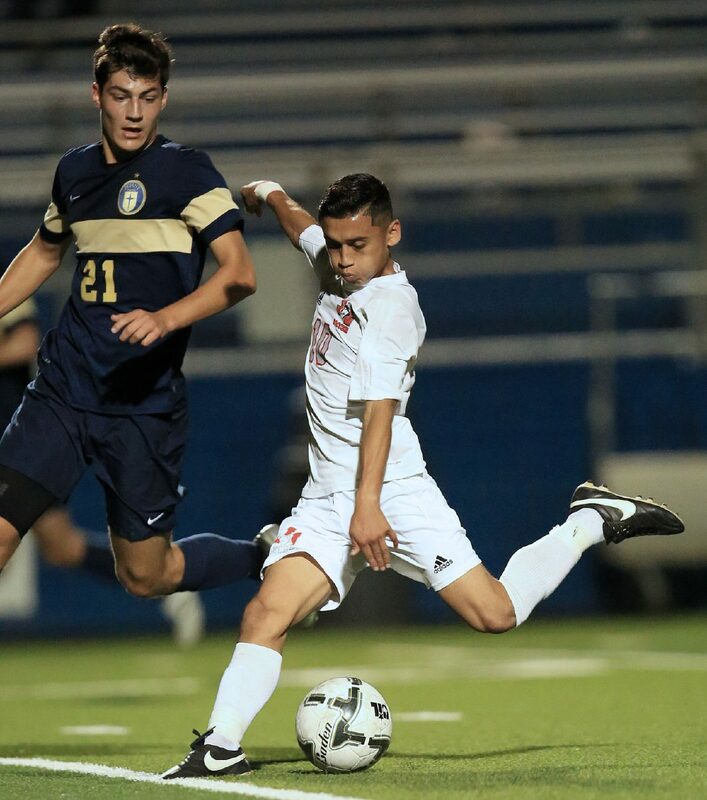 Juarez-Lincoln’s state semifinal against Dallas Jesuit was scoreless through regulation and overtime despite the Huskies launching 26 shots to the Rangers’ six. Juarez-Lincoln graduates nine seniors, but the talented program is expected to reload and remain one of the Valley’s best. After a busy summer playing tournaments in places like Houston and Austin, Castrejon will be back to lead the charge once again.